Premier League leading goalscorer Mo Salah has talked about the tweet that delighted Liverpool fans last week. The Egyptian international is on national team duties, and has been talking to the media about a variety of different subjects, including social media. Following ​Manchester United's Champions League exit at the hands of La Liga side Sevilla last week, the striker was quick to rub salt in the wounds of United players and fans by joking that the draw 'can't come soon enough' just seconds after the full time whistle. "I can go on it for joking around, like the funny thing that happened last week. It was funny but it’s all over now." The quarter final draw of the Champions League took place on Friday, and resulted in a mouthwatering tie between ​Premier League leaders ​Manchester City and Salah's ​Liverpool. The Reds are the only side to beat Pep Guardiola's men in the league so far this season, and Salah is hoping for a repeat result. "The Champions League draw is a good one," he said. "Both teams know each other well. I’m really excited about this match and I have a good feeling about it. I hope we’ll win." 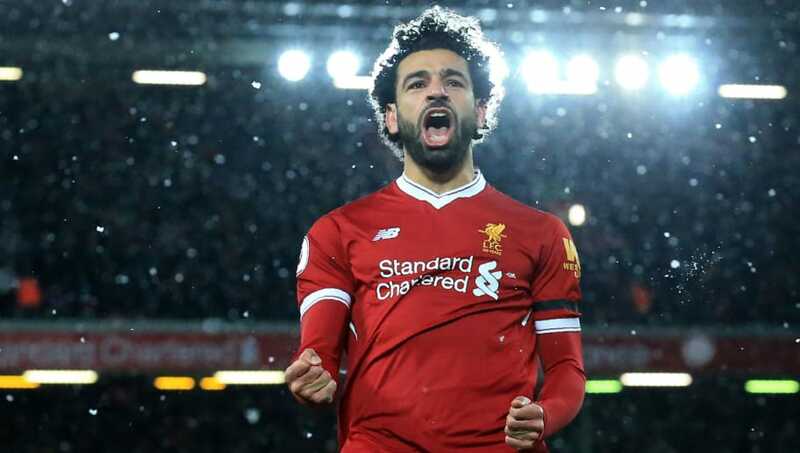 Salah extended his lead at the top of the Premier League goal scoring charts with a ​4-goal haul against Watford on Saturday. He is now on 28 league goals, 4 ahead of nearest rival Harry Kane.